Not the 1099 Form you’re looking for? What kind of income is reported on a 1099-MISC form? Who Files the 1099-MISC Form? Is There a Minimum Threshold Dollar Figure? How Do You File the 1099-MISC? How and When Do You Issue the 1099-MISC? You may have heard of a “1099” before. You may even know that a “1099-MISC” is something that contractors get. But, like most tax terms, a “1099” sounds boring and complicated. What is it anyway? A 1099 is the tax form you use to report your earnings if you are self-employed as a freelancer or some kind of independent contractor. There are about 15 different kinds of 1099 forms. They cover a lot of different categories of income. But the one that is most commonly meant when someone says “1099” is officially called the 1099-MISC form. A 1099-MISC form, for reporting Miscellaneous Income, is known as an “information return.” It’s filed with the IRS for informational purposes, to report the amount of money that a particular person earned. The individual also gets a copy of the 1099-MISC form and is expected to include that income when he or she files their tax return. The IRS matches all of the “information returns” that it receives from various sources with the individual tax returns that people file. They do this to make sure that people are reporting all of the income that they should be reporting. It’s not called “MISC” for no reason. Basically this form is the catch-all for any kind of income that does not get reported on other specific tax forms. Miscellaneous income covers any sort of temporary or contract employee that is not considered a permanent employee. The contract employee is generally paid gross wages, with no withholdings for any sort of taxes (federal, state, or payroll) or other benefits. These people are frequently called “independent contractors.” You may also hear terms like “freelancer,” “self-employed,” “gig worker,” or “contingent worker.” No matter what they call themselves, these terms all refer to “independent contractors” as the IRS defines it. Other types of income reported on a 1099-MISC include a wide range of categories: gas and oil royalty payments, income from machine rental and coin-operated amusements, royalty payments for patents and trademarks, income from prizes and awards, and fishing boat proceeds. But non-employee compensation, or income paid to independent contractors, is by far the most common use of the form. The client files the 1099-MISC form with the IRS, and also provides a copy to the employee. So, if you’re the independent contractor in this situation, you don’t file these forms. But if you’re the employer hiring independent contractors, you’ll need to file for them. If you’re an employer, any time you hire someone that is not a permanent member of your staff to do business-related work for you, you will very possibly need to issue a 1099-MISC to them and the IRS at the end of the year. Examples might include the person who initially designed and now periodically supports your website, anyone who cleans your offices or facilities, mows the lawn and takes care of the gardens at your offices, or those who write articles for your website. Basically, anyone who performs any business-related service for you. However, it’s important to distinguish between an independent contractor and another type of business. If your contract employee is actually working under an incorporated S- or C-Corporation entity, or an LLC that is being treated as such, then don’t send them an 1099-MISC. But people who own sole proprietorships or single-person LLCs are considered “independent contractors” and will receive a 1099. Good question! Yes. If you pay someone less than $600 in a calendar year, then you don’t have to provide the 1099-MISC for them. However, once they have earned $600, the IRS wants to hear about it. NOTE:There is a new form called a 1099-K. This is a form that has appeared in the past 10 years, as online transactions have grown in popularity. If you paid your contractor via credit card or a third-party network like Paypal or Apple Pay, you may have to issue a 1099-K instead. The threshold for a 1099-K, however, is $20,000. So, if you are not making huge credit card payments to your contractors, you are probably fine with the 1099-MISC. In order to file the paperwork, you need to obtain some information from the contract employee. If you didn’t do it when you first hired them, you’ll need to do it before the filing date. You’ll need their legal name, business name and business type, physical address, and tax identification number (usually their social security number or employee identification number). 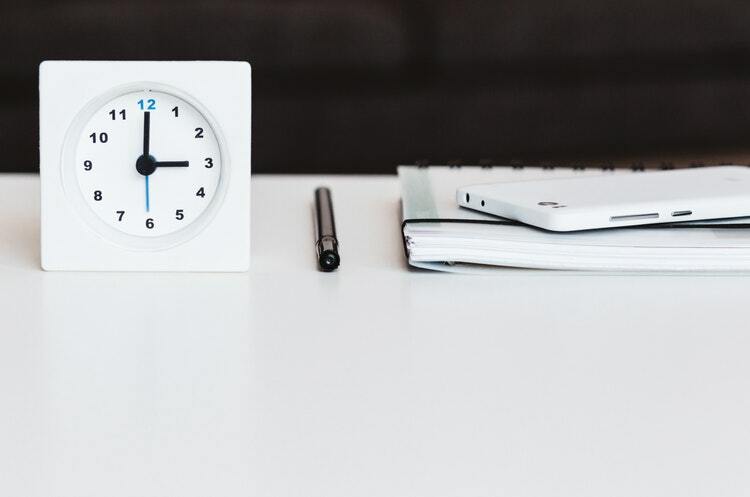 The deadline for sending the forms to the independent contractor and to the IRS are the same—January 31 of the year following the tax year in which you paid for the work. You’ll most likely mail the paper form to the contractor, but you can mail or e-file the forms to the IRS. If you file over 250 1099-MISC forms, you actually have to e-file. The IRS will not accept that many paper returns from one employer. 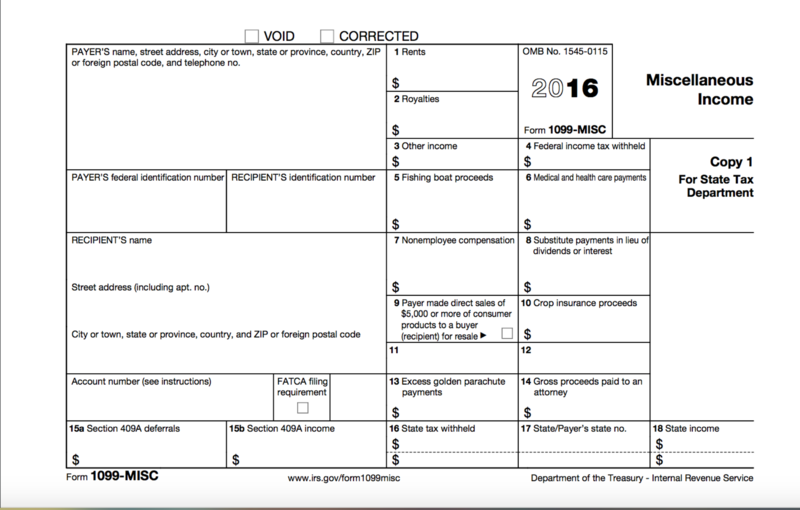 The PDF of the 1099-MISC form is available from the IRS, along with instructions on how to fill it out properly. There are also certain circumstances when you can request an extension for filing your 1099-MISC or other information returns. The IRS is not lenient, though, so it’s best to do them on time.